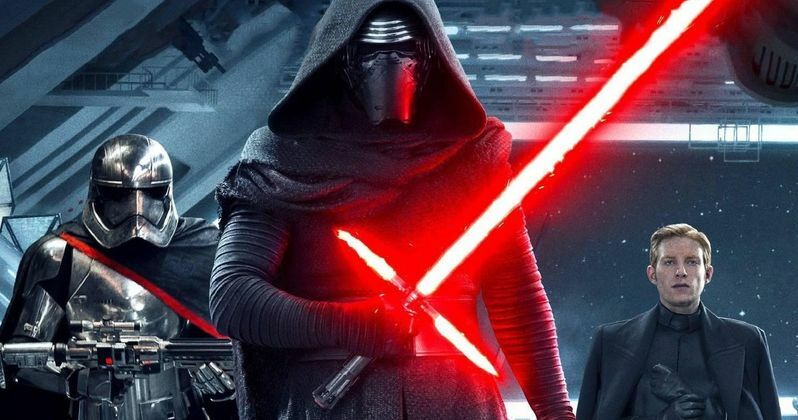 Again, this is just one more Star Wars: The Force Awakens story where we must issue a SPOILER warning. If you watch the sequel closely, the end is rather ambiguous in terms of what happens to most of the new characters. And if you have only seen the sequel one time, you may be scratching your head, asking, 'What happened to Captain Phasma?' She doesn't get much screen time, and she is dispatched without much of a good-bye. Rest assured, though, she is coming back in a big way in Star Wars: Episode VIII. About the character's return, Gwendoline Christie had this to say. "She makes a lot of impact but she's not at the forefront of the action all the time. She's an important character, a baddie in the best sense of the word." Many fans have compared her to Boba Fett, especially after seeing the movie. While she leads a raid in the movie, her big scene comes when she is captured by Finn. She doesn't clock much screen time. But in an interview with The Los Angeles Times earlier this month, Star Wars: The Force Awakens producer and LucasFilm head honcho Kathleen Kennedy confirmed Gwendoline Christie as the first new cast member to return for Star Wars: Episode VIII. Since that time, though, most of the new cast has also been confirmed to return, with John Boyega, Daisy Ridley, Oscar Isaac and Adam Driver all coming back in some capacity. We're not sure if we've seen the last of Domhnall Gleeson or not. But Mark Hamill is rumored to have a role comparable to Han Solo's in Star Wars 7 when he returns for Star Wars 8. While Mark Hamill has already shot some of his scenes on Skellig Michael in Ireland for Star Wars: Episode VIII, the rest of the cast won't return to set until this spring. Captain Phasma's role in the sequel has not been divulged at this time, but it's expected she'll get more screen time than Boba Fett did in Star Wars: Episode VI - Return of the Jedi. And from the sounds of it, she will last longer, too. As she is not yet on the menu of any desert dwelling creatures. In the earlier LA Times interview, Gwendoline Christie had this to say about her still somewhat mysterious character. "We see women in a different range of roles in the film. And the reason I love my character so much and I feel so enthusiastic about Capt. Phasma is, yes, she's cool, she looks cool, she's a villain - but more than that, we see a female character and respond to her not because of the way she looks. We respond to her because of her actions. I think we're a society that has promoted a homogenized idea of beauty in women - and in men - and I think it's really interesting, modern and necessary to have a female character that isn't about the way her body looks. It isn't about her wearing makeup. It's not about her being conventionally feminized. The idea of this enormous legacy and franchise embracing an idea like that, which of course to many of us feels logical, is actually really progressive. And long overdue." Are you excited to see Captain Phasma get more of a role in Star Wars: Episode VIII? Were you disappointed that she didn't show up much in this latest sequel? Sound off below, and let us know how you think she's get her revenge on Finn. You know he's got it coming.